The above info came from Aliwengler, and was edited by yours truly (contact me). The image came from Amazon.com. In a dark medieval realm, humans live in fear of the Yoma, vicious shape-shifting demons who feed on their internal organs. However, a mysterious organization aims to bring the Yoma to extinction. It consists of the Claymores, a race of half-human, half-Yoma warriors (all of them are mainly female) named by the humans for the huge swords they carry, as the organization itself has no true name. Whenever a village or town is thought to be haunted by one or more Yoma, a Claymore will be summoned to hunt them down. 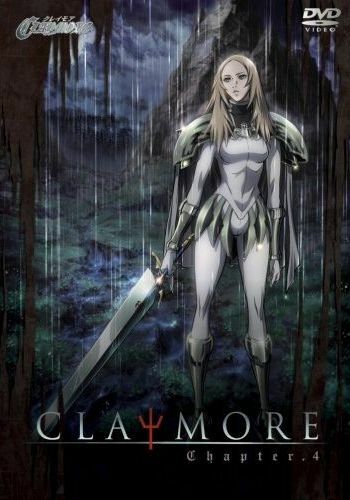 The anime focuses on one particular Claymore named Clare and her human companion Raki, who was banished from his village after his family were eaten by a Yoma and he was suspected of being one himself.